Good dental hygiene can help keep your teeth clean, and regular dental appointments can catch early signs of problems. However, did you know that there are other steps you can take to keep your whole smile looking and feeling great? 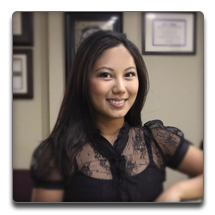 Our dentist in Torrance CA explains. Using overly enthusiastic brush strokes, brushing too hard or brushing with a hard-bristle brush can scratch the enamel of teeth. Instead, use a soft-bristled brush and soft, circular motions to clean all surfaces of your teeth. Using abrasive whitening toothpastes can also be harmful in some situations. If your teeth are discolored, consider using a whitening treatment instead. Teeth are often faster when it comes to opening packaging or cutting through clothing tags, but scissors are still the best tools for these jobs. When you use your teeth as tools, you can chip your teeth or even fracture your jaw. Carbonated beverages can be extremely refreshing in the summer, but too many of them can erode your enamel. The acid and sugar combine to make a tooth-toxic combination that can erode enamel within just a few weeks. Soft drinks are the prime offenders, but they are not alone: Sweetened juices, energy drinks and coffee with sugar can also be detrimental to your dental health when consumed regularly. Contact our dentist to learn more or to schedule your next checkup.